The technology and hardware Kinect for the Xbox 360 video game console by Microsoft has been used by many for unintended and very cool things. At first Microsoft was resistant to its “hacking” and then said go for it. They then released code to make it easier to develop for the Kinect. 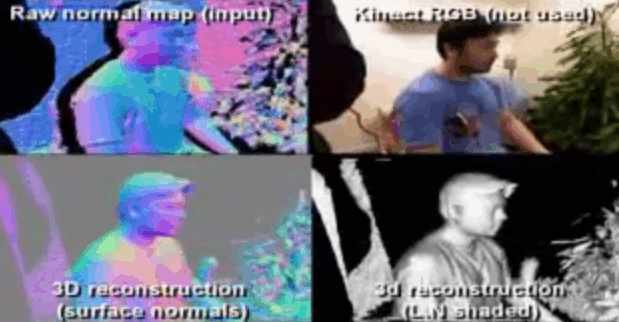 Microsoft has joined in the parade with its own research with the ability to make 3D models of any thing that the Kinect is pointed at—a room, a couch, a person, a bowl of fruit and etc—in real time, instantaneously! The video demonstration is very cool showing how the 3D model changes as the Kinect is moved. The detail and resolution of a model increases as the Kinect is moved closer the the real-world object. Textures are missing =( Hopefully this will be added and research continues. And yes, it is research. The $100 3D scanner is for some time in the future.